When I hike to the Schellbruch, the cormorants are the easiest to spot. To be honest, it’s easy to find other birds there too, but it’s much easier to take photos of the cormorants because they are big birds, and they sit or fly everywhere in this area. 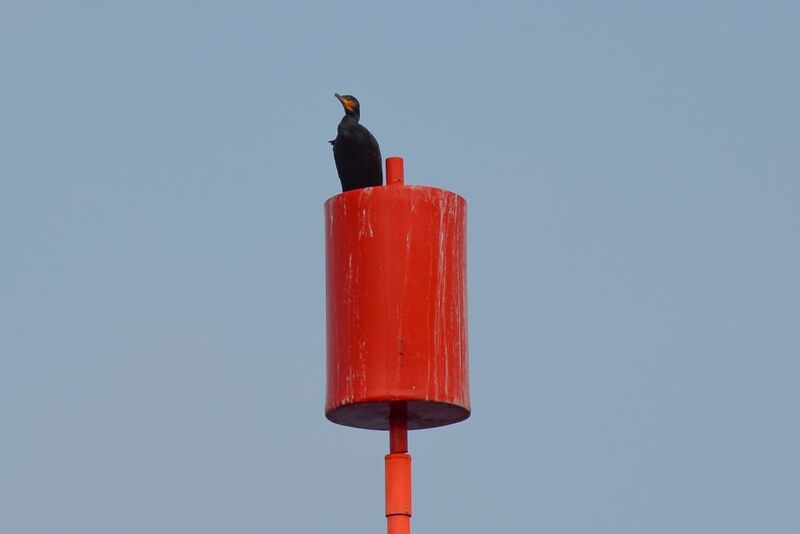 I shot the photo near the Trave River at the Schellbruch, I am not sure what this red thing is, it’s most likely a sign for the mariner or so, there are other signs and cormorants seem to enjoy resting on them. The birds do also make sounds, it’s interesting to listen to them. Hi Dennis, did you ID the cormorant? What do you mean with “ID”? 🙂 I am not sure what this means.